Summer is here and for many that means camping, boating and family get-togethers! Campers, RV's, Boats and Patio Furniture may be used for fun, entertaining and recreation but they are also a valuable investment. An investment that you want to take care of properly so they will provide years of enjoyment and memories. Empire Covers help protect your valuables from both the indoor and outdoor elements keeping them looking better, longer! Empire Covers can cover just about everything! From campers and RV's to boats and ATV's and even patio furniture. Their covers are made from high quality material that is made to stand up to the elements of the outdoors and the changing weather. With a cover from Empire Covers you can easily protect your valuables from rain, snow, harmful UV rays, dust storms and so much more all year long. The outer material is durable and provides the ultimate protection in all kids of weather conditions. The inside material is soft and plush to protect against scratches. Their RV and camper covers start at just $84.99. EmpireCovers.com has been selling high quality covers online since 2004. Located just outside of Philadelphia, our team strives to bring you the best quality products with an easy shopping experience. Because our car, truck, van and SUV covers are a 'semi-custom' fit, 99% are in stock and ship right away. And, since we ship direct from the manufacturer, we're able to pass the savings on to you, offering some of the most durable covers online for a fraction of our competitors' prices. Because we specialize in car covers and truck covers, you will find a top quality car cover whether you need a waterproof car cover, a car cover for dust, or a car cover for California sun. 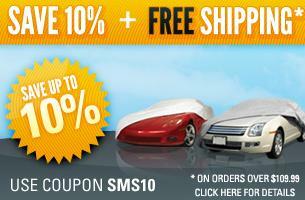 Our warranty on every top quality car cover guarantees indoor car cover and outdoor car cover durability. *ranked by Compete.com Jan 2010. Car Covers, Truck Covers, Van Covers, SUV Covers, Motorcycle Covers, ATV Covers, Snowmobile Covers, Boat Covers, Patio Furniture Covers, Floor Mats and more! One lucky Being Frugal and Making it Work reader is going to win a cover for their camper or RV from Empire Covers! 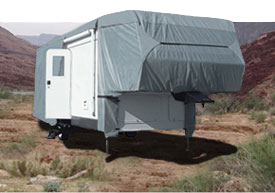 Simply post a picture of your RV or Campers on Empire Covers Facebook Page. Make sure your caption states that you were sent by Being Frugal and Making it Work. Picture with the most likes wins a cover for their camper or RV. Example Caption: I just entered to WIN a cover for my RV from Empire Covers, http://t.co/YagX3XK and you can too! Picture with the most likes WINS! **I only recommend products or services I use personally and/or believe will be a good fit for my readers. The views and opinions expressed on this blog are purely my own. Results may vary. I was not compensated in any other way for this review. The generous sponsor of this giveaway will mail the prize directly to the winner. A special thanks to Empire Covers for this wonderful opportunity!